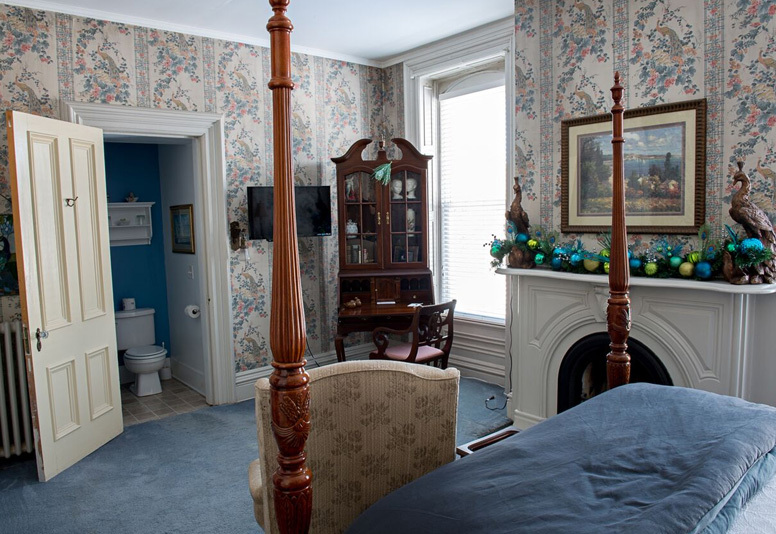 As one of the original bedrooms of the mansion, this guest room at the top of the stairs has unique peacock wallpaper, a marble fireplace (seasonal, Dura Flame logs Nov. 1 to Mar 15), a carved four-poster queen bed, and a wall mounted flat screen cable TV. The two nightstands are antiques and in one corner is a graceful cherry secretary and antique desk chair. Two large windows let in lots of light with a view of the side yard well house. A closet & shower bathroom are to the left as you walk in. 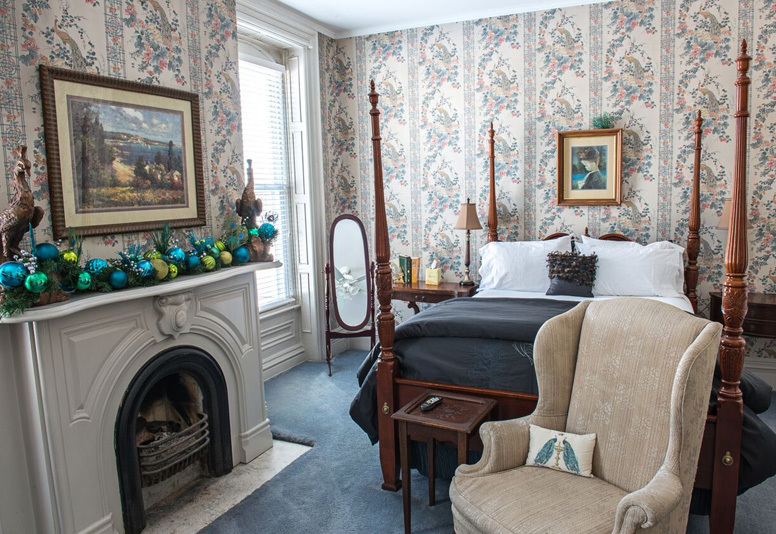 At the end of the bed sits a wing chair to snuggle into and a french chair upholstered in blue beside the working fireplace.